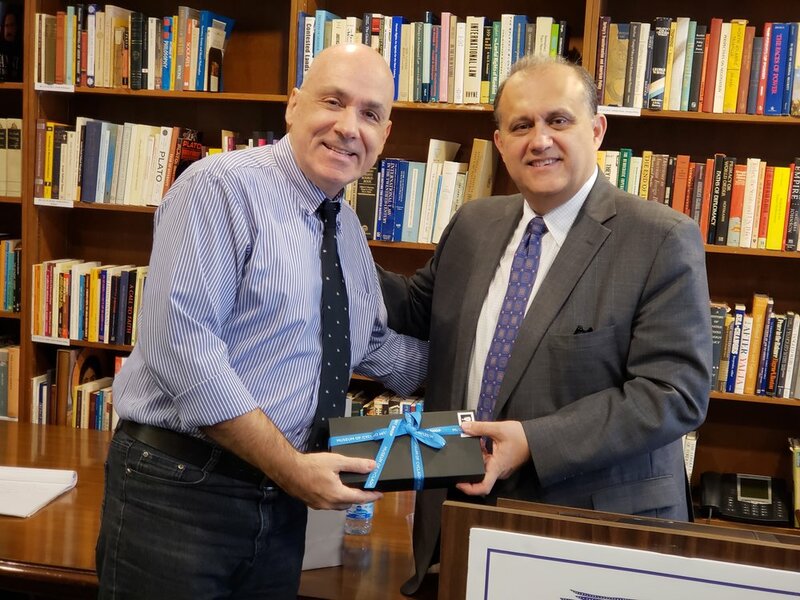 WASHINGTON, DC—The American Hellenic Institute (AHI) hosted forty students from the University of Piraeus (Athens) at the Hellenic House on Thursday, February 7, 2019. The students were in Washington to explore possible career paths and opportunities for professional development. AHI President Nick Larigakis spoke to the students about AHI's history and its mission. He spoke about the advocacy process in the United States and the role of Greek-Americans in educating their elected officials on policy issues. The students shared their perspectives of the United States, as well as their interest in future career opportunities. "These students dedicated their time and personal savings to travel to the United States for professional and educational development. It is a significant investment that they undertook, but this trip has the potential to benefit their future success," Larigakis said. "The University of Piraeus has done exceptional work in preparing these students, who represent some of Greece's best. We wish them the greatest success in their futures."